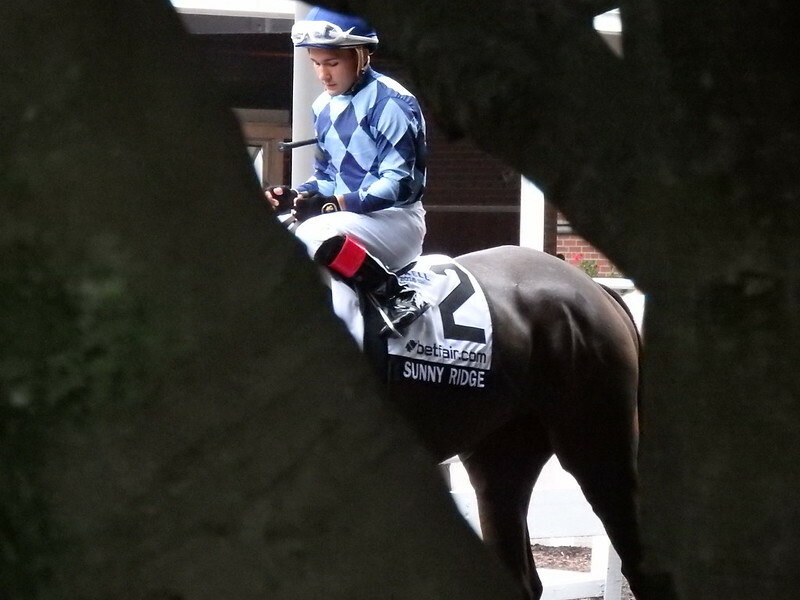 Sunny Ridge before the 2016 Haskell. Photo by The Racing Biz. Shore Bets returns for a new year of handicapping the racing at Monmouth Park! 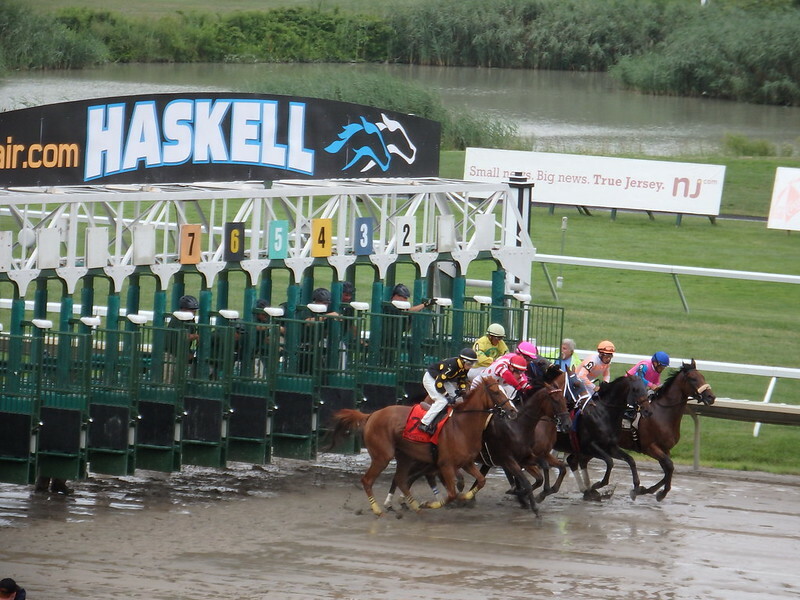 This Saturday of racing at Monmouth Park features 11 races, including the Jersey Shore Stakes. Ten years ago, Idiot Proof set a still-standing track record for six furlongs in winning that race. We’ll see if any of this year’s runners can make some history of their own. Note that, because of a chance of rain at Monmouth, picks will be given for both dirt and grass for all races on the lawn. 7- Major League: Closed from behind and finished a good second at this level at Belmont Park last time out. His brisnet figures are superior to the rest, and trainer Jason Servis is hitting at 29% on the meet. 2- Tree Shaker: He made up solid ground last out to finish second at this level behind a heavy favorite. Went off at 16/1 in that race, and you should get another square price should you like him here. 3- Recapitulation: Just cleared his n/w2L condition with a sharp 1 ¼ length win, earning a figure of 74. He stalked the pace in his last few races, to good effect. 5- Silencer: A $300,000 yearling purchase, she’ll make her first start off the layoff, and has been working strongly at Belmont and Saratoga. Gets Lasix for the first time. 1- Angels Seven: Moves from the grass to the dirt for the first time, her grass figures are usually in the upper 70s, which should be good enough to win if she can transfer her form over. She’s the only older horse in the field going up against five three-year-olds. 3- Mzima Springs: She made a solid closing rally on debut at Parx last out, finishing third with a respectable figure of 70. Trainer Michael Matz usually fires with his Monmouth invaders, having hit the board in five out of seven on the season. 2- Katie Ice: Ships in from Belmont off a gate-to-wire score there last out. She’ll have to deal with some speed from her inside, but she’s got the ability to rate, and comes in here in great form. 3- Scotland Bay: Ran a strong 83 at Parx versus similar last time out. Navarro’s finally found his stride at the meet, and has hit the board in five out of six at Monmouth with this filly. 5- Lady Luciano: Makes her first start for the Patricia Farro barn, which hits at 16% first off the claim. She’s coming off an eight-day layoff, in her last start on dirt, twenty days ago, she lost by a length after racing wide at Belmont. 1- Frank’s Folly: Her big advantage is that she’s got experience going around two turns, which not everyone in here has. She’s hit the board in three two-turn races in a row, didn’t do so well in an off-the-grass event last out, but still ran a sharp figure of 83. 5- Easy Money: Precocious Pennsylvania-bred is coming off an easy victory at Penn National at six furlongs, earning a figure of 87. She’ll stretch out to a route for the first time. 6- Squan’s Kingdom: This is another one trying out two turns for the first time. Last out, she finished second at odds-on going six furlongs, also running an 87. Will try to drop in to the inside and rate off the pace. 1- Bells Irish Fancy: Led almost the entire way around last out before giving way late. That was her first start off a ten-month layoff; now some of the rust should be off and she’ll be ready to go. 2- Home Again: She’s been working strongly at Saratoga getting ready for her grass debut. She made her first-ever start at Pimlico on dirt, broke through the gate beforehand, but still ran a respectable third. In a race that lacks a lot of grass form, she’s one to watch. 7- I’m a Curious Lady: Fourth in all three grass tries at Gulfstream Park over the winter, with figures in the 70s each time. She had an awkward break in her Monmouth debut last out, which was washed off the grass. 1- High Frequency: Drops in for an all-time low claiming level. He’s been caught very wide in both of his career starts, and will hope to save ground while facing much weaker rivals than he has before. 5- Pearsonality Too: He’ll cut back in distance and make a surface switch from his last race. He’s improved his figure in each of his last three races, peaking at a 65 two races ago. 2- J B’s Big Red: He’s got the advantage of early speed near the rail, a bullet workout last week, and a race under his belt since returning from a two-month layoff. Will have to slow down the tempo a lot more, because as he proved last time out, he won’t be able to get away with trying to sneak away to a big early lead. Bradester. Photo by The Racing Biz. 5- Helmet Head: Ran an 87 against $75,000 foes at Gulfstream Park in his last grass try. His last attempt to race on the grass was washed away; will hope to avoid foul weather again here, because he hasn’t shown he can run a lick on dirt. 4- Knight Errant: Flattened out after racing wide at Belmont last out. Ideally, he will be hustled to the early lead and use his pace as a weapon. 6- Game Night: Even though this Jersey-bred hasn’t hit the board in eleven starts, he’s been showing some signs of life in his last few races. He lost his last two versus similar by about three lengths apiece, and with a little more improvement, could spring the upset. 10- Phone My Posse: Led almost all the way last out, but got nabbed at the wire. He’ll make his third start off the layoff here, and has very good speed figures and plenty of early pace. His younger brother, Phonemyposseagain, has been making waves this meet with two good performances in two-year-old races. 5- Lucky Six: In his last few races, he’s shown early speed and tired, but hung in there just well enough to get an exotics spot. I expect a similar performance here. 3- Chub Scout: He broke his maiden with a career-high figure of 79 last out, in his first race off a long layoff. He’ll get his fourth jockey in his fourth race here; this time, it’s Antonio Gallardo. 4- Stella Street: Lacked a good closing punch when finishing fourth last out, but still ran a great figure of 77, and takes a drop in claiming price from $35,000. 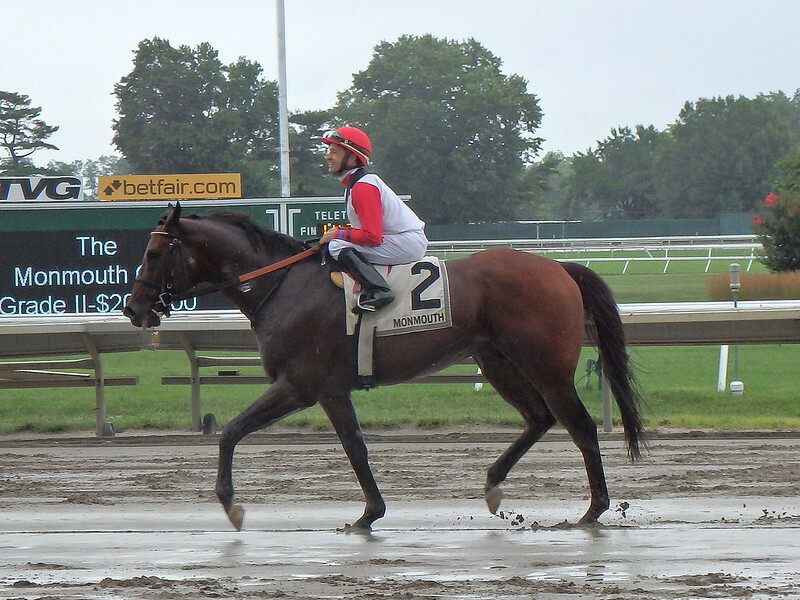 8- Dangerous Woman: Was sent to the lead last out, and was aggressive throughout the trip. She held on for third, and if she can relax more on the lead, she’s a threat here. 5- Tevere: Sat a great trip last out and rallied to break her maiden in career start #11. Looks to sit a similar trip today. 3- Space Shuttle: Scored a very impressive maiden win over this track last out, with a huge figure of 92. Another step forward, and he gets the job done here, and sets himself up for a bright future. 4- Proforma: Didn’t do much in the Chick Lang Stakes last out, but faces easier today. He won the Sugar Bowl Stakes two races ago at Fair Grounds. 2- Storming My Way: He comes off a big allowance score at Parx, where he battled through a fast pace and held on, earning a 92. Will show speed from the rail. 10- Bank on the Lake: Stopped badly in her last race after showing early speed, but ran huge when on the pace two races back, including a very sharp figure of 74. Which version of her shows up here remains to be seen. 8- Here’s the Fuego: Has a similar pattern as Bank on the Lake. She caught a wet track in her first two races, hopes for a drier surface today. She’s noteworthy as the first winner of the 2017 season. 6- Market Tales: Makes her first start since January, when she lost versus similar at Parx by a fast-closing neck. Her lone career win came over this track. 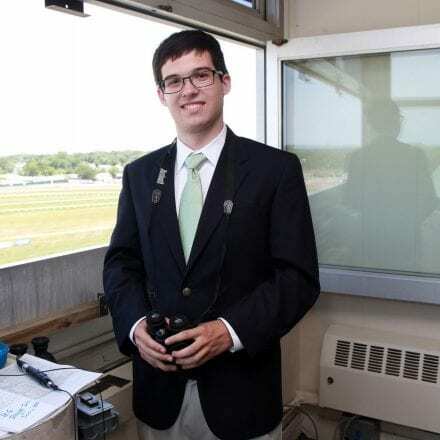 John Piassek, Loyola University Maryland student who is also managing editor of danonymousracing.com, has been going to Monmouth Park since before he could walk. Follow him on twitter @theyreoff.